Immediate help is available to relieve distress and access the support you need. 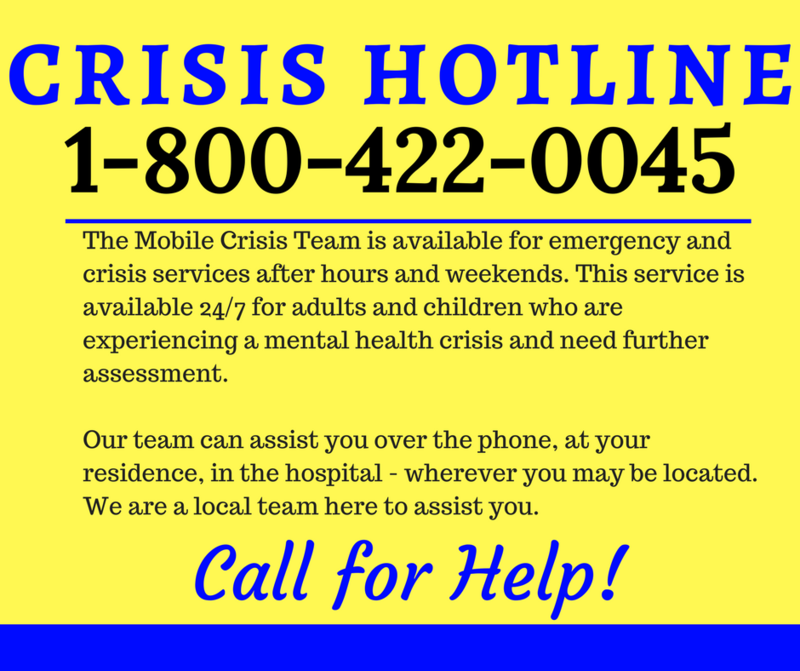 Mobile Crisis Response Services offers mental health services and support 24 hours a day, 365 days a year. Include mental health crisis assessment, intervention and community stabilization services for adults, children and families. • Are community based - offered in safe and mutually agreed upon location such as the home, school, medical center and more. • Aim to utilize the least restrictive intervention and keep clients in their community. • Offer help accessing local services and resources including Chemical Health support. "Crisis services is dedicated to promoting the health, safety and well-being of the community through prevention, education and immediate intervention 24 hours a day." CRT includes Mental Health Professionals and Practitioners with specialized training in responding to mental health crises and emergencies. Counties served by this team include: Beltrami, Clearwater, Hubbard and Lake of the Woods. A mental health crisis is a behavioral, emotional, or psychiatric situation that would likely result in significantly reduced levels of functioning. The 24 Hour Crisis Line is anwered by crisis trained staff at the call center. They collect basic information and triage the call. The Crisis Response Team (CRT) then contacts the caller to set up immediate community based intervention or offer support and resources over the phone. Crisis services provides educational presentations and trainings on the various services we provide. Contact us today to arrange for one of our expert staff to come to your community group, school or organization.